A popular time for new choices in your life, January is the month where everyone tells themselves ‘new year, new me’, so why not give your home a bit of a reboot too, and we don’t mean just a lick of paint. We uncover all the top trends that are going to be entering homes across the globe in 2019. Although they remind you of something from a baroque, period property but actually, four-poster beds are heading back into trend. No matter what it’s made of, these opulent bed frames make a real statement in the bedroom, and not only that, they’re super comfy! The height and scale of these beauties and the oriental influence of honey-moon chic make these beds the perfect fusion of modern and traditional. If you’re looking to fill a large space but want to keep the amount of furniture to a minimum, then these are the beds for you! You could even add some curtains to the posts for an extra touch of class. Metal is a timeless and tasteful addition to any home and a mix of brass, copper and silver can make for an eccentric but modern twist on a traditional style. Although perfect for creating balance and definition in a busy environment, it’s all about moderation, so be wary you don’t over-do it. Introduce glass side tables with metal legs, or a mirrored sideboard for that reflective effect. Lamps, mirrors and picture frames are also simple ways of introducing a metal texture into a room. When you think of a traditional bathroom suite, you think white! But in 2019 the roles are reversing, and the introduction of black bathrooms enters the mix. Spa-inspired trends have taken over showrooms and these bold, dark and indulgent designs create an intimate and sultry atmosphere. If you’re thinking of introducing a touch of darkness to your newly fitted bathroom in the new year, then you’re not alone, in fact, you’re setting the trend! But make sure you’re careful, if you’re fitting a new bathroom into a small space, you don’t want to make the room feel even smaller – adding black accents is great for keeping a room open, while also adding these on-trend feature aspects. 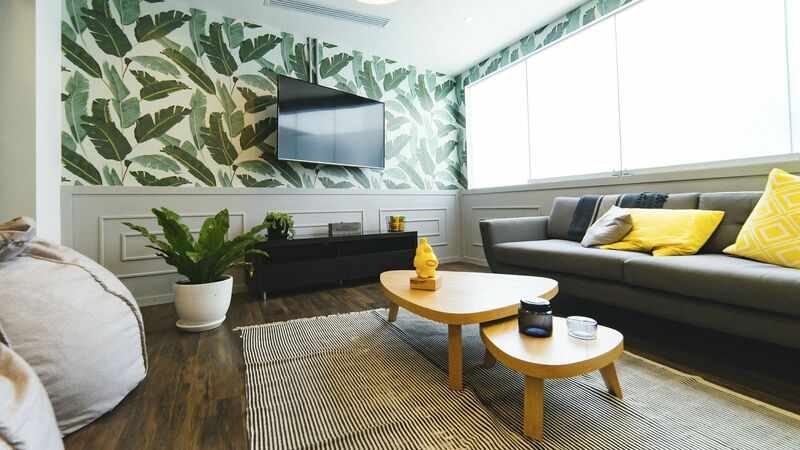 The aim in 2019 is to re-introduce the open-plan living space back into our homes and a perfect way of doing this is through light wood floors. 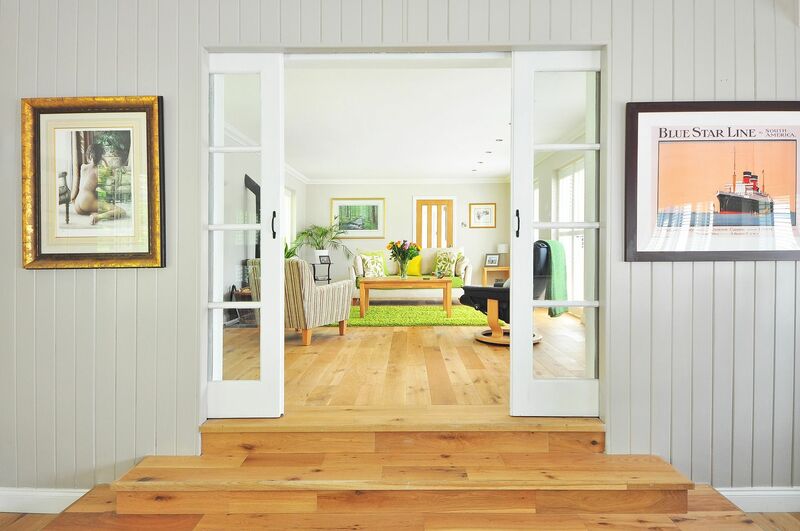 Brighter floors like birch and oak create a light and bright atmosphere, without compromising on comfort and ease. Wooden floors alongside carpets and rugs are a great way of keeping dimension and texture in a space without over cluttering. Gone are the days of light worktops with light kitchen cupboards, 2019 sees the rise of darker and warmer kitchens. Solid colours and marbled quartz all have their own unique patterns and are the perfect option for someone looking to keep their kitchen unique and timeless. 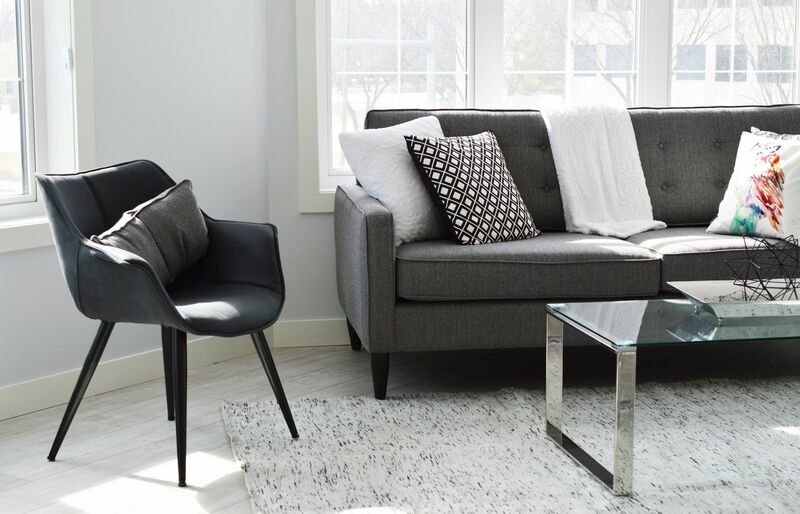 The trend of grey walls and clean-cut white lines is a thing of the past, as bold walls are making a real comeback into the home of 2019 trendsetters. Dramatic, dark and decedent colours are all entering our homes to create intimate and bold settings. Paired with lighter furnishings and wooden or cream carpets create the illusion of space and a real feel of class. If you really want to make a statement in your home, then January is going to be the month, as boho trends are heading right back into fashion. Garish, bright prints paired with bold, statement colours may seem intense, but are the creations interior designers are filling their sketchbooks with as the new year rolls around. Adding vibrant prints, textiles and fabrics are a great way of recreating this look without the long-lasting effects of wallpapers and carpets. Acrylic can give a room structure, depth and an architectural feel without filling the room to the naked eye. See-through pieces create a fabulous foundation item for small spaces and are a great surface for adding and layering without creating a crowded area. Acrylic dining tables, bedside cabinets and lamps are all creeping into our homes and will make a great impact on trends in 2019. Whether you’re looking to redesign a whole room or introduce new and stylish pieces into your home in 2019, our handyman services are here to make the job an easy and effortless one. Should you consider converting your garage?